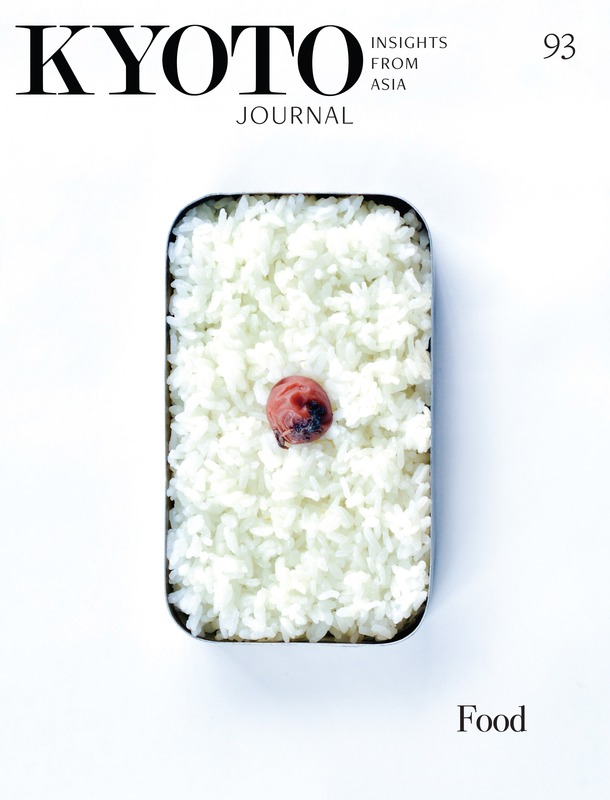 Kyoto Journal has been recognized since 1987 for its editorial acumen and fine print design. Today, still non-profit and all-volunteer, we have fun working together via a digital magazine, website and Facebook page which inspire, cultivate and promote creative work in many fields. We aspire to become a top-performing digital doorway, to re-instill interest in and understanding of Kyoto, Japan and Asia, and to build community while encouraging personal growth in ourselves and among our contributors. In essence, we curate and create insightful writing, art and multimedia as well as local events. We also take action to encourage and inform people who seek global or regional solutions. We do all of this from the standpoint of social conscience. Kyoto Journal welcomes Asia-related articles, essays, reportage, personal observations, interviews, poetry, reviews, fiction, humor, and translation (or various combinations of the above). We look especially for material with a long “shelf-life.” We do not try to cover breaking news, though we are interested in eye-witness coverage of events that may not receive mainstream media attention. Naturally, we also welcome and appreciate work by illustrators, photographers, painters, printmakers, and calligraphers, who enable us to maintain KJ’s distinctive visual design values. Our transition to digital format also opens up new possibilities in podcasts, video, and other interactive features. KJ editors work closely with contributors to help bring out the best in each submission. KJ has always been non-profit and all-volunteer produced, so our contributors (like our editors) are unpaid. As a token of our sincere appreciation, we offer a free copy of the issue you are featured in with the option to purchase extra copies at a substantial discount. See below for the relevant e-mail address. E-mail attachment is recommended for text. Microsoft Word is our preferred format. If sending by “snail mail,” please include an e-mail contact address if possible. Please note that we do not return postal submissions. Since the editors are all volunteers, there may be some delay in our submissions process. If after submitting work, you do not hear back from us within six weeks or so, please feel free to send us a reminder. Essentially we look for articles and essays that come from the heart; that are original, creative, sincere, and thought-provoking. Our masthead states “Insights from Asia” – submissions must have some clear connection with Asia. While we respect academic research and depth of content, approaches should be consistent with our non-specialist readership. In general, we look for fresh personal insights, not superficial observations, or perpetuation of time-worn cliches. We are especially interested in local voices, from all over Asia. We seek ideas that illuminate cultural differences in a positive way, promoting intercultural understanding via specifics, not generalities. We believe strongly in brevity, but if a topic is of sufficient interest to carry readers’ attention, we do consider longer pieces. In our Asian Encounters section (Asia-related personal experiences), we aim for around 800 words, up to approximately 1,500 words maximum. Our usual length for feature articles is less than 4,000 words. KJ editors work closely with contributors to develop the potential of initial submissions. We also look for links and resonances between articles in each particular issue, so may hold submissions pending emergence of a suitable context— in which case we will let you know. Interviews have always been a vital part of KJ. We prefer direct Q & A format, but also welcome profiles. In our regular section called “In Translation,” we seek to draw more attention to translation as a field that has been – and remains – vital in developing cross-cultural awareness. We also hope to give more exposure to the translators themselves, who are of course essential to this process. We are very interested in featuring more translations of work by Asian writers. This does not mean only fiction or poetry. We’d also like to publish more translations of worthwhile articles and essays. Most of the stories we publish run less than 4,500 words, an average length being between 2,000 to 3,500 words. Heartwork follows on from our special “Just Deeds” issue (KJ 53), sharing stories of local projects (all over Asia) that provide examples of ingenious (and mostly home-grown) solutions to pressing social and environmental problems. We seek straightforward reporting on the specifics of people and programs that are really making a positive difference to people’s lives and their futures, and that could even be replicated or adapted to new contexts. In addition to articles, including personal accounts of volunteer involvement, we welcome general information such as links to relevant websites, blogs and newsletters. We are open to submissions from Asian writers, and expats, that illuminate life and society in Asia. Please note that we often end up with a backlog of fiction to publish, so it can sometimes be around 6 months before publication in print. We can go down a online-only route as well. Please limit initial submissions to three poems. Please note that we often end up with a backlog of poetry to publish, so it can sometimes be around 6 months before publication in print. Online only is an option as well. What’s happening in Kyoto? What’s worth commenting on? What makes KJ’s hometown so special? Traditions, events, crafts, notable cultural connections, new developments? Do you have ideas for interviews? Fresh images of this ancient city that is still continually changing? Traditionally, the roles of a reviewer and a critic have been defined separately. The purpose of a review is to objectively introduce and evaluate a publication for the benefit of readers who might find it of interest. Criticism is a kind of commentary that assumes that the reader already knows the subject that is being discussed. The critic displays his/her erudition, with more value placed on creative synthesis of ideas. For the KJ Reviews section we welcome a blending of both approaches, but prefer that the criticism doesn’t get too literary, artsy, or academic. (It should not read like a high school Eng. Lit. essay that tries to analyze or explain the author’s intentions). The review should be judged ultimately by its value to our readers, as in “access to [intellectual] tools.” Thus we prefer that reviews be short and informative. We also recommend that they include quotes or short extracts (if practicable) to give readers an immediate grasp of style and content. And it is essential that a review should be thought-provoking in its own right. A good reviewer assesses the subject and provides a clear context for its consideration and appreciation. While we prefer to run positive reviews, constructive criticism is also worthwhile. However, if a reviewer has nothing good to say about a particular publication, they are likely wasting their own energy, and the readers’ time. We can make better use of our page space. Short Takes (500 words at max, usually much less), and Long Views, covering worthwhile material that has long been available (it may even be out of print). Reviews may cover books, movies, CDs, anime, websites – virtually any media with an Asian connection. Often reviews are selected to tie in with a feature article or the theme of a particular issue. Please send a proposal before actually writing a review for KJ, to ensure that we are interested, and to avoid possible duplication of effort. We welcome original and creative images, whether in traditional or new media. Duotone printing may be used for fine photographic work, and we have some full-color options. Design sometimes incorporates different papers in separate sections of the magazine. We accept photographic work on 35mm or larger color transparency, black and white prints, or high resolution scan (send on either a CD or DVD). If the graphic is of a delicate historical nature or a valuable personal possession we suggest color xerox (most such copiers these days do amazing work). Please do not send original slides, photos, or other irreplaceable artwork etc. KJ will not be held responsible for the loss of any submitted materials. In selecting the magazine’s content, we look for fresh, creative and intelligent approaches of wide and lasting interest. KJ is intended for a general readership of people who have mostly spent some time in Asia, and who are reasonably familiar with Asian societies and cultures. Our readers have tended to keep back issues of KJ for reference; we’re concerned with building an accumulative body of material of lasting value. Since KJ is published on a quarterly basis, we particularly seek material with a potentially long “shelf life.” As a result, KJ is not an appropriate vehicle for breaking news scoops, or op-ed commentaries on this week’s big story. Let’s also mention up front that we try to leave the “Discovering Asia” genre of passionate but superficial first impressions to other publications that are more oriented towards newcomers and tourists. We look for work that presents aspects of Asian cultures in a way that is primarily thought-provoking — and this characteristic implies general accessibility. While we of course welcome academic and literary submissions, we don’t envision KJ as primarily a literary magazine, or an academic journal. In selection we favor work that is well-grounded, and that develops its arguments through illustrative anecdotes rather than polemics. We have published a number of articles that originated as theses and academic research papers, but in such cases an editor has worked with the author to focus on specific aspects, with structural revision and some ‘translation’ for general readership, where necessary. It’s difficult to define style guidelines for KJ, because what we look for is an identifiably individual voice in every article, in the same way that we have no design templates for layout — each piece is treated as a unique entity, so each issue becomes a collection of disparate voices, with resonances and connections, and maybe even disagreements. The most immediate way to form a quick impression of the kind of writing that we favor is to look at the magazine itself, or this website’s Selections, a sampling from previous issues. 1) Write with a particular reader in mind, representative of our intelligent and educated Asiaphile audience, worldwide. Think of someone you know well, who fits that description, and speak to them. 3) Consider readers for whom English is a second language. This doesn’t necessarily mean oversimplification of style — or content. Good writing doesn’t need the excess baggage of local idiom, buzzwords, or jargon. 4) Write with the intention of drawing the reader in. We look for clear, attention-grabbing intros, sustained interest — and effective wrap-ups. Strategies for better accessibility may include using active rather than indirect speech; focusing on specifics (anecdote rather than generalization) — and especially, providing the necessary context (for example, briefly introduce your references rather than expecting readers to know them simply by name, give dates in addition to era names, etc.) to give a complete picture. 5) Avoid clichés such as “mute testimony” (and generalizations especially such as “the Japanese”) or unnecessary figures of speech (“part and parcel”). 6) Avoid self-centered writing. In all but exceptional cases, it’s not really about you. At least, it shouldn’t be. Even in an Encounters piece, don’t put yourself between the reader and the action (e.g. when describing what you see, it’s not necessary to say, “I saw…”) And try not to editorialize. 7) Avoid anonymous writing… (OK, so this contradicts the last point. Contradictions make life, and writing, interesting). Where practicable, build your relationship with the reader, implicitly revealing whom you are, what you stand for. But keep it subtle. Write constructively. Don’t waste space and energy in recycling — or demolition of — old ideas. Move on, build your own alternative vision, share it. 9) Above all, writing should be enjoyable — for both writer and reader. KJ editors give feedback on submissions, and may offer suggestions on developing them further and making them more effective. Editing (for length and/or clarity) is collaborative; we ensure that we have full agreement from the author on a definitive version before publication. Authors retain copyright. Please present your material in the form of English that you are most comfortable with. In other words, we do not insist on U.S. spellings or grammatical conventions (noting, however, that many of our readers are from N. America). We do request consistency within a particular piece of writing. Non-English words should be italicized, but only on their first appearance. If meaning is not implied by the context, please give a short definition in parenthesis, using round brackets, or as an asterisked footnote. Non-English words in common use outside their home country (e.g. haiku, karaoke, futon, etc) need not be italicized. Names of publications, movies, ships etc. should always be italicized. Conversation or quotes should be marked by double-inverted-comma quote marks, with embedded quotes, etc in single inverted commas. If quoted speech runs to more than one paragraph, yet remains contiguous, use quote marks at the beginning of each paragraph of speech, but at the end of only the last paragraph. Periods go outside brackets, but inside quote marks. For Western calendar years, use BCE or CE, where necessary. Spell out the century (e.g.” the nineteenth century”) but for decades, use numerals (e.g. “the ‘70s”). We use the U.S. convention for time, separating hours and minutes with a colon (e.g. “3:35”). Japanese names are stated with family name preceding given name. In romanizing Japanese words, avoid use of double vowels to indicate a long sound (e.g. use “Ota” or “Ohta”, not “Oota”). For dashes, we normally use a long em dash (on a Mac keyboard, shift + option + hyphen), with a space before and after it. When numbers one through twenty occur within text, they are written out; from 21 we use numerals. Titles of articles, songs, TV programs and works of art etc. appear inside quotation marks. United States is abbreviated with periods: U.S.
Do the basic reading and research. Find out whatever you reasonably can about the person you are going to interview. Give yourself time to think over what you’ve learned, and to see how you might approach them through their particular interests. List your questions. Keep them concise. Consider how they would flow best as a sequence. But don’t simply fixate on working methodically through that list. Be ready to extemporize, to play it by ear. If you plan to record the exchange, do a 5-10 second test recording & sound check with your interviewee before starting. Listen to the results before you get underway. Far too many recordings turn out to be nearly inaudible. And check occasionally that the equipment is actually recording. Few things are more embarrassing and frustrating than wrapping up a fascinating dialog – only to find the Pause button still on, or the battery dead. Good photos (clear, well-lit, high-resolution digital or sharp print) are a valuable addition to an interview, but portraiture is not an easy art to master. Contextual images may also be useful. If possible, take back issues with you to show KJ’s style and approach. 1. Pay attention to the person you are interviewing, not your question list and notes. An interview is a conversation too. Above all, listen carefully and follow up on things you hear, especially if something comes up that is different from what you expected. Find links, and try not to change the subject abruptly. A good interviewer engages with the subject in an interactive process that should draw out ideas (in both questions and answers) that neither the interviewer nor the interviewee has articulated in quite that form before. 2. One must be sure that one’s interviewee has really said what he/she has to say on a given subject before one goes on to the next topic or question. It’s often the case that interviewees have a sort of canned response which they offer initially, but that if the interviewer allows for a brief (and even slightly awkward) silence to elapse following that reply, then the richer, living, breathing, thinking-in-the-moment response comes forth. As long as you have your list of questions with you your interviewee will know that you’re prepared. Give him/her time to think. Just look a bit expectantly into their eyes when they pause and see if they don’t have more to say. 3. Likewise, it is essential to listen intently to each specific reply with the aim of drawing the interviewee out more with a “Why?” or a “How?” or whatever may be appropriate. Too many questioners are so eager to cover their whole list that they almost never hook a fish worth landing. Many of their interviewee’s answers seem truncated somehow, and that’s because in essence they are. Naturally, time constraints vary depending on whom one is interviewing, but if you have adequate time, use it to gently “walk” along with the interview all the way out to the edges of their mental turf. They may make a fresh discovery along the way and share it with you right then and there. 4. If you have reason to disagree with something, do so — succinctly but unequivocally. No sacred cows. Then let the interviewee respond fully. 5. Try to encourage the interviewee to offer anecdotes that illuminate the points he/she wishes to make. These are often the flesh and blood of a good interview. When listening to these look for little gaps if any and get him/her to fill them in (the setting, season, time of day, etc., as relevant). Do so unobtrusively, supportively, and enthusiastically. 6. Take notes about key ideas and facts even if you record the interview. These will help you to distinguish (and locate) the more significant and useful parts of your recording. Especially, if names are mentioned, confirm spelling if possible. You may need those details. 7. Writing an intro to an interview is generally best done after the interview has been completed, so that its focus and tone will match the body of the piece. Also, the interviewee is likely to tell you things that belong in the intro more than the body of the piece. But on the other hand, by the time you have researched the subject and are ready to do the interview, you should have a good general idea of your approach, and drafting a provisional intro may be helpful in clarifying that. 8. Trust between the interviewee and the interviewer (and by extension, KJ) is vital. After transcription and basic editing, the interviewee should be given the opportunity to fact-check the final draft and give feedback. And yes, editing is important: for clarity, focus, and flow. Some sections may be re-sequenced, and where necessary, later follow-ups may be inserted. Make sure you have the interviewee’s postal address for the actual magazine to be mailed out to.